You can go green with environmentally friendly polish in all the colors of the rainbow! 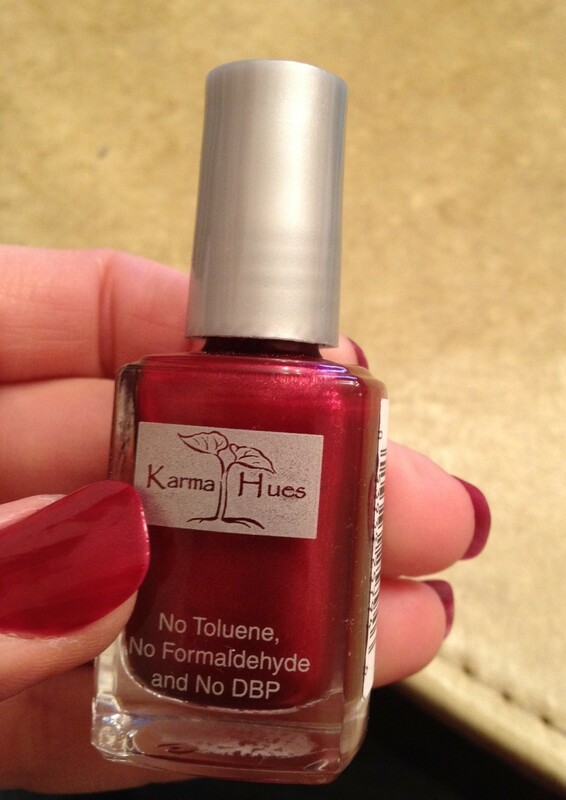 Karma Organic nail care products – nail polish remover and nail polish – can you make your nails beautiful in this life while they repair past neglect and prepare your nails for a healthy future. The polish remover is so outstanding it won Allure Magazine’s Editors’ Choice Award in 2009.